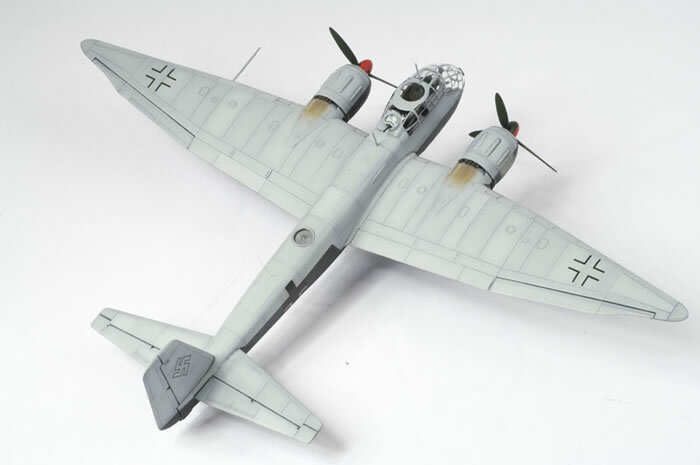 This is Hasegawa's 1/72 Junkers Ju 188 which I've just completed. 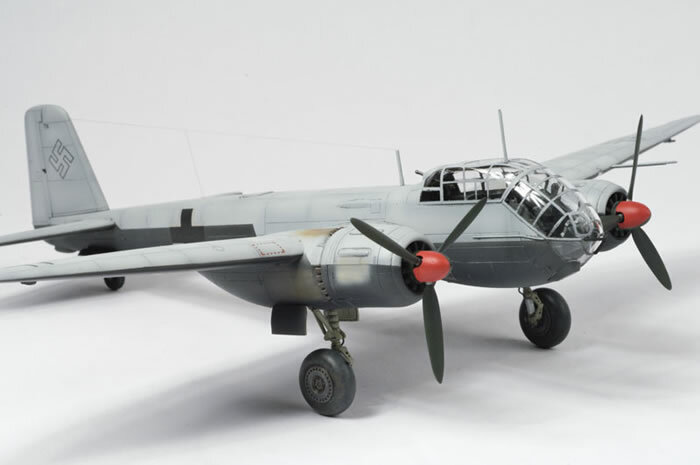 It will be appearing in Model Airplane International in the next few months where you can read all about the build and see lots more photos. I have built it to represent Hans Altrogge's aircraft as it appears in photos in Michael Ullmann's book 'Luftwaffe Camouflage and Markings 1935-1945'.